your HSA plan will allow you to save money tax-free and pay for qualified health expenses, whether you itemize your taxes or not? Also, the money in your HSA plan is yours to keep and will roll over and continue to grow from year to year. With the cost of health care and health insurance premiums on the rise, employers are looking for ways to save money while still providing a quality safety net to employees. By redesigning employee benefit offerings, an employer can accomplish both goals. Most carriers now offer consumer driven health plans (CDHP) that shift some of the cost sharing to the employee. An employer can offer an HRA or HSA plan to help close the cost sharing gap. HRAs are employer-funded. Employee contributions are not permitted. The employer can decide what benefits to reimburse. Some popular plan designs, for example, are to fund a portion of the deductible or to reimburse for inpatient hospital services. HRAs allow an employer to essentially self-insure a portion of their health insurance. The employer will know what their maximum liability is for the year and hopefully will realize significant savings depending on employee utilization. Unlike an FSA, an HRA allows for the rollover of funds at the employer’s discretion, however rollovers are not a mandatory feature. Employees can receive reimbursement free of all federal and state taxes. These contributions are 100% tax deductible to the employer. An HRA can also be used to self-insure dental or vision benefits or any other elgible health expenses. The plan design possibilities are almost endless! An employer can control the availability of funds – such as make the employee’s allotment available up-front (like a health care FSA) or pro-rated based on pay cycle (like a dependent care FSA) or some other schedule (e.g. monthly, quarterly). HRA plans can also be offered to retirees, which could provide a competitive edge. A Health Savings Account (HSA) is an employee-owned account offered in conjunction with a qualified High Deductible Health Plan (HDHP). Employers favor these plans because, along with the decreased premium of the HDHP, the money contributed to the HSA is 100% tax deductible or the employer may choose to contribute nothing at all. Employees like HSAs because, since the account is always vested, it is 100% portable. Employees maintain control over when and if to use funds. The account is established exclusively for the purpose of paying for qualified medical expenses incurred by the account beneficiary and/or qualifying dependents. Both employers and employees can make tax-free contributions to the HSA, up to a specified limit, indexed annually by the IRS. Contributions are 100% tax deductible, up to the legal limit, similar to an IRA. 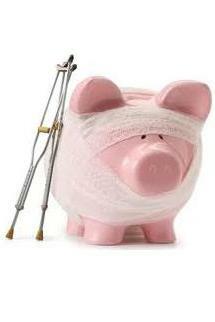 Withdrawals to pay for qualified medical expenses, as defined by the IRS, are never taxed. Withdrawals for any other purpose may be made subject to penalties and taxes to the account holder. Interest earnings accumulate tax-deferred and, if used to pay for qualified expenses, are tax free. Employees who do not have out-of-pocket expenses or choose not to reimburse themselves for such expenses can save the money in the HSA for the future. BAI has designed comprehensive administration packages to simplify the implementation process of HRA and HSA plans. For HRAs, we will provide all the customized educational materials necessary. Our administration software has many unique features which allow each employer group to design a plan that fits its own specific needs. Each HRA will have a dedicated claims processor trained in the plan design. The Benny™ Card can be offered at the employer’s discretion and manual claims (paper or through our WebPortal) are reimbursed via direct deposit. BAI will also provide the required plan document and SPD and perform discrimination testing and Form 5500 filing as necessary. If the plan is subject to Medicare Coordination of benefits requirements, BAI will work with the employer to ensure compliance. For HSAs, BAI has established a relationship with The Bancorp Bank, which is our trustee Bank. The Bancorp Bank is an FDIC-insured online commercial bank that delivers a full array of financial services and products both directly and through more than 300 private label affinity partner programs nationwide. BAI will assist the client with the implementation of the HSA accounts for each employee, have Benny™ Cards established and provide instructions for upkeep of the accounts. In addition, BAI will process enrollments at implementation and for new hires, as well as handle account terminations and facilitate the transfer to an individual account. BAI will also work with the client and/or the insurance broker to play an active role during the open enrollment season. Our experienced staff can help design an HRA or HSA strategy that complements your other insurance offerings. We can also work with your insurance broker during your health insurance renewal to coordinate the benefits for a seamless transition. Click the Bancorp Logo to sign in to your account. Call us today for your consultation and a quote!